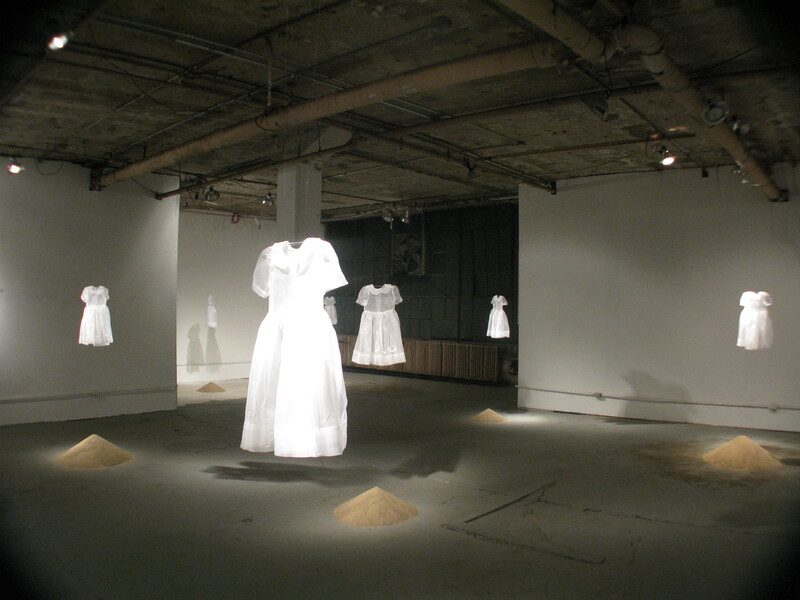 mis•tak•en is an installation for the Detroit Industrial Projects (D.I.P.) based on a new series of work called Spoon-fed Lies. This series is based on misconceptions that have been told to myself and an endless amount of young girls sitting in highchairs. 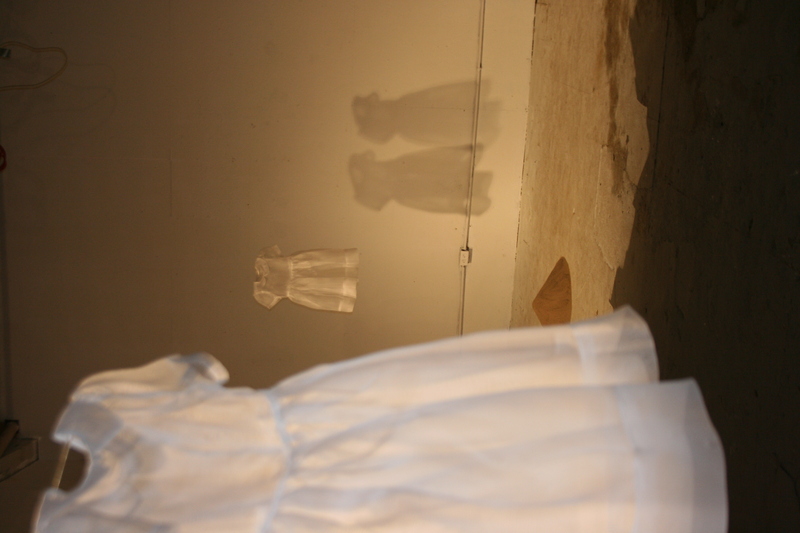 From religion to balancing it “all”, the viewer can search their own life experiences when relating to the dresses. 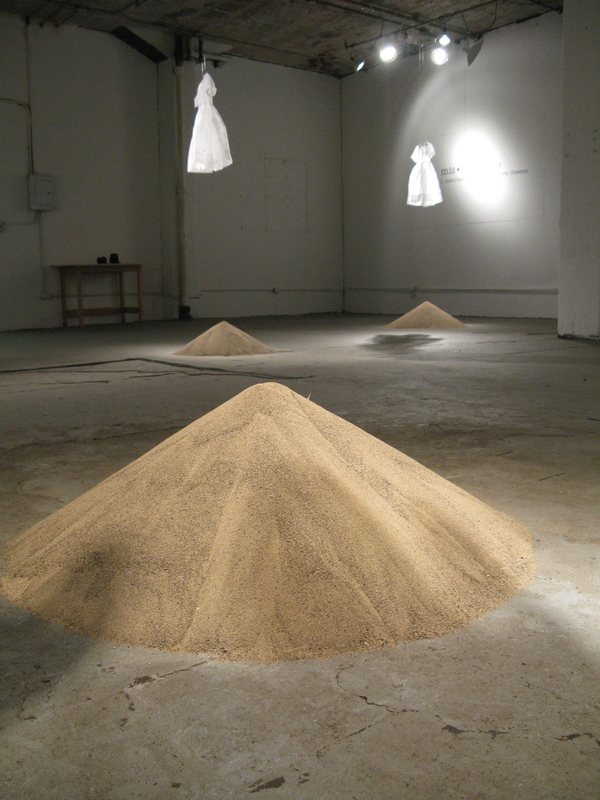 Each dress has been positioned in the gallery above a formed mound of sand. 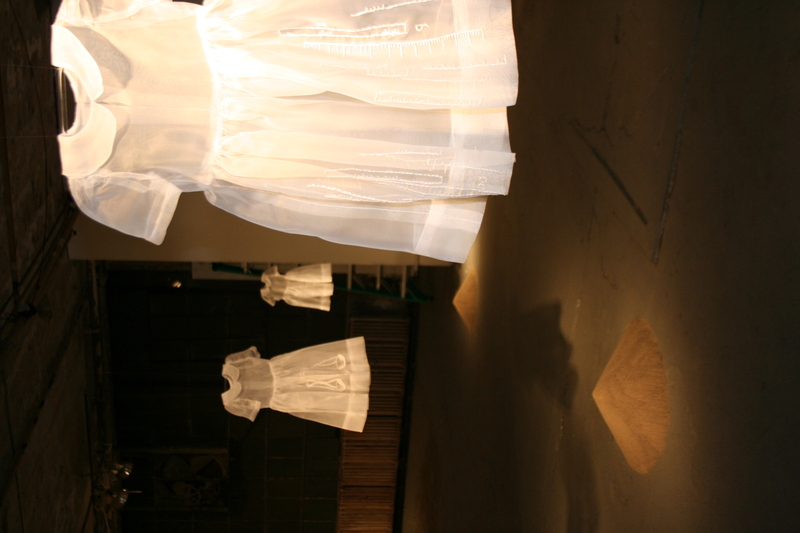 All of the mounds reflect the varying weights, which relate to the psychological heaviness referring to the embellished image each dress. 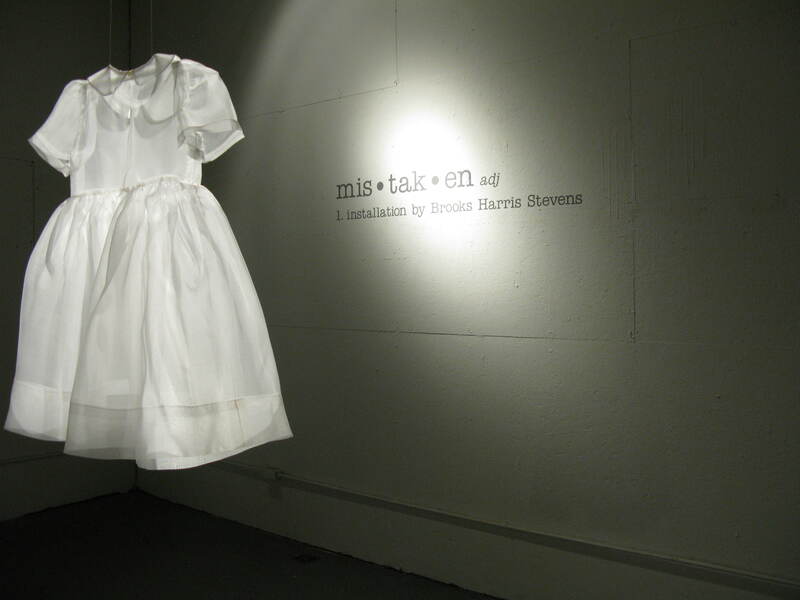 Each white silk organza dress has been hand embellished with images that symbolize the mis•tak•en misconceptions. The viewer can find their own direction throughout the gallery and experience the highlighted areas for themselves.